To protect your Apollo Sport 400 trampoline from the weather, you should use a protective cover. This will allow you to leave your trampoline outside all year round and in all weather conditions, whilst covering it efficiently. It will therefore remain clean and ready-to-use. 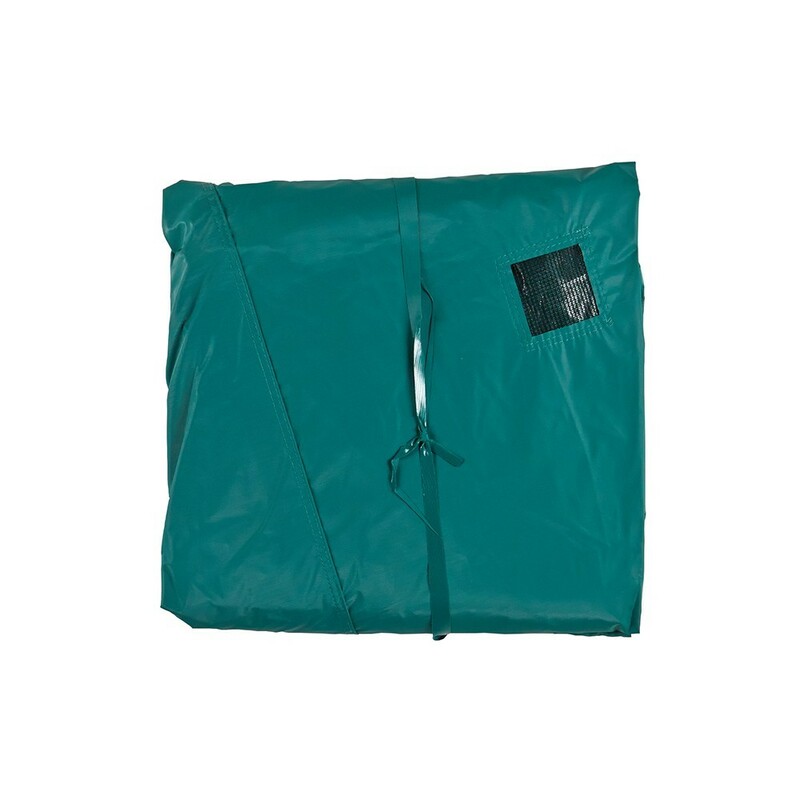 - This rectangular cover is perfectly adapted and designed to fit the Apollo Sport 400 trampoline. - This protective cover is made out of a high-tech fabric with a PVC coating, making it highly resistant. 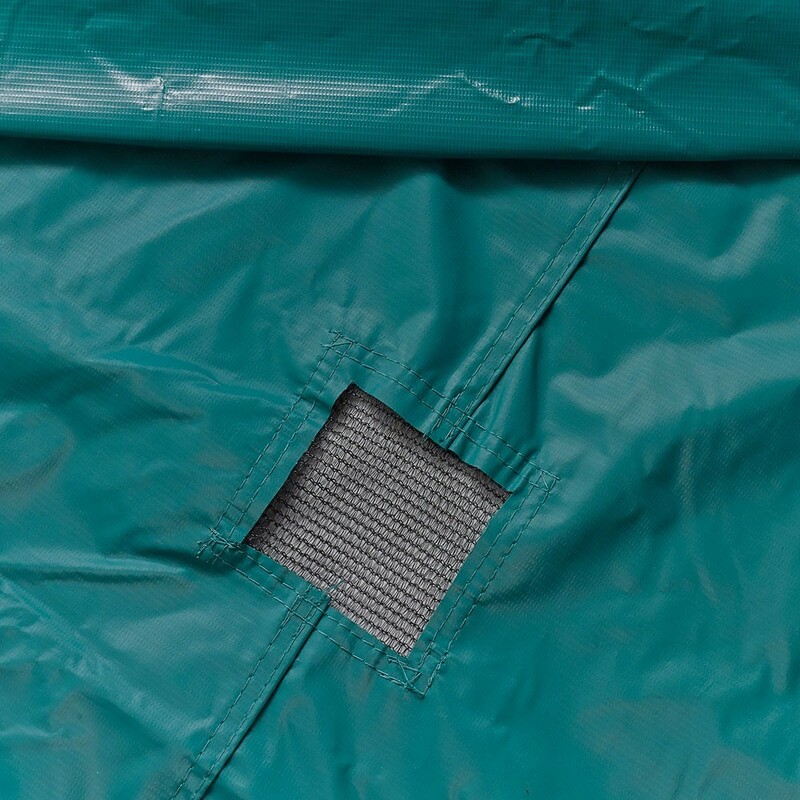 The dense PVC that covers the fabric is similar to the PVC used on lorry tarpaulins. This makes it resistant to wear and tear and very waterproof. - It can be fixed beneath the trampoline’s frame pad using a thick, solid elastic which means that the cover is tightly secured. 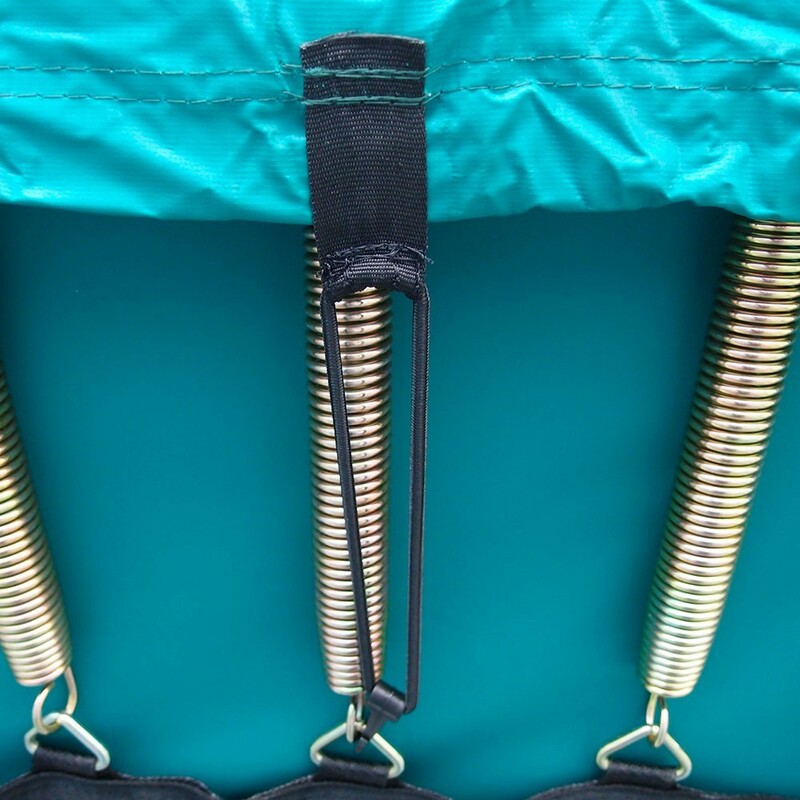 To make sure the cover is firmly held in place, hooks guarantee the hold and make sure that the jumping mat, frame pad and netting of your trampoline are protected. 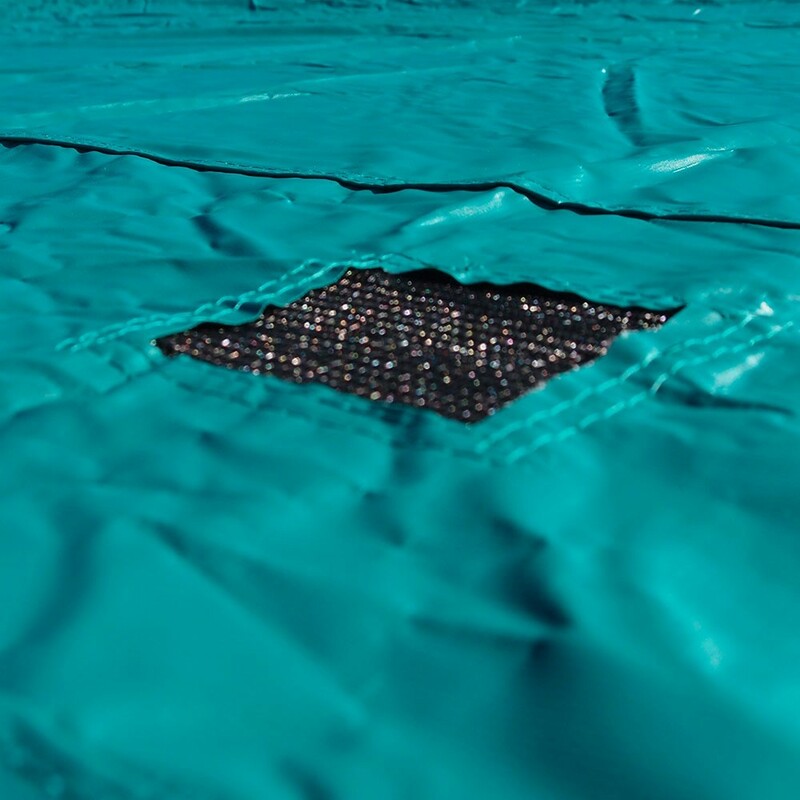 - There are 3 water evacuation grids placed on the cover to prevent any water from pooling on the trampoline. 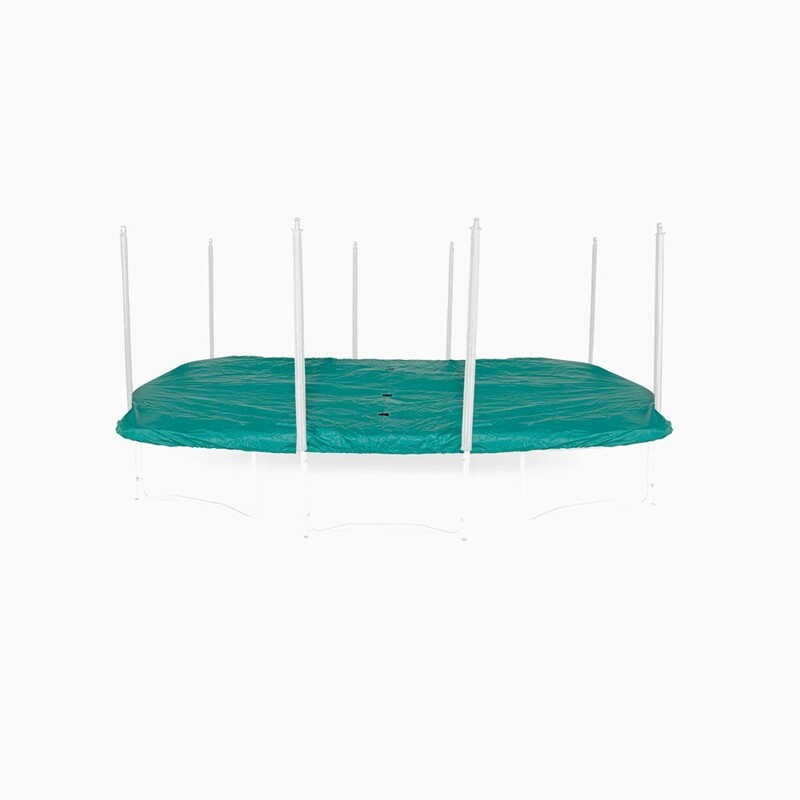 You will be able to maintain the original bounce of your trampoline, instead of running the risk of stretching and damaging the springs and the jumping mat. 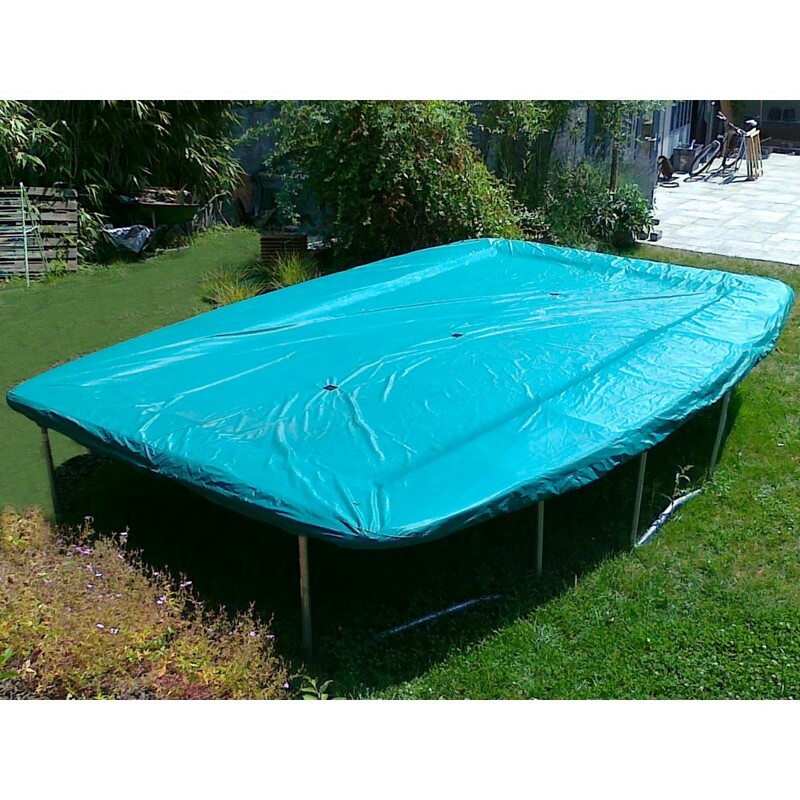 - The cover is green which will allow it to blend perfectly into your garden. 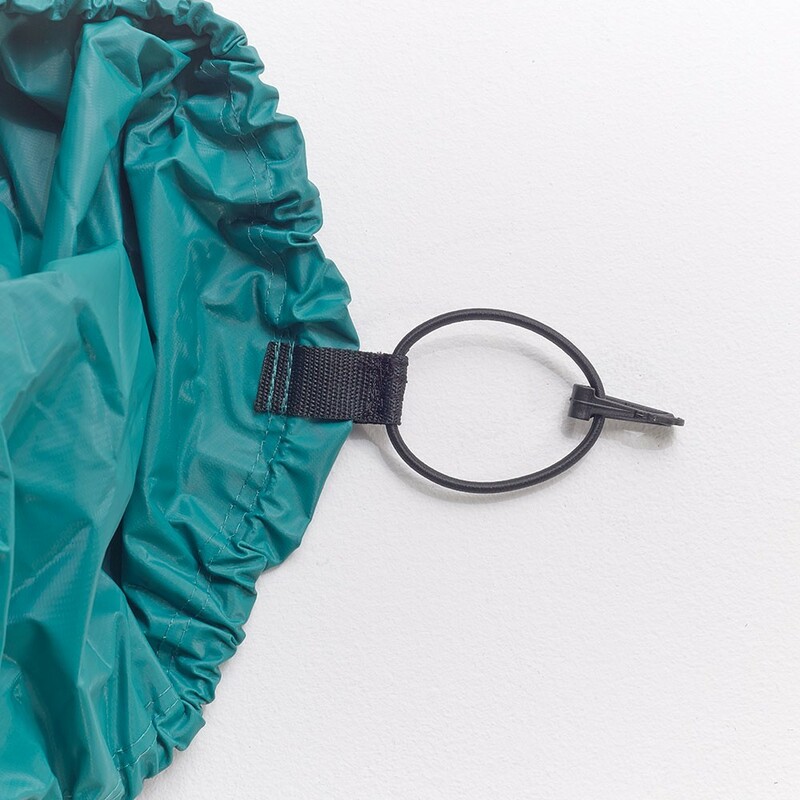 Although this cover is mainly used in the winter, it is also adapted to all seasons as it has been UV protected to make it sun-resistant. During the rest of the year, your trampoline will be protected from anything which could stain it. Your trampoline will always be clean and ready to use for your whole family’s enjoyment. De bonne qualité et facile à utiliser. Les crochets en plastique devraient être un petit peu plus robustes.